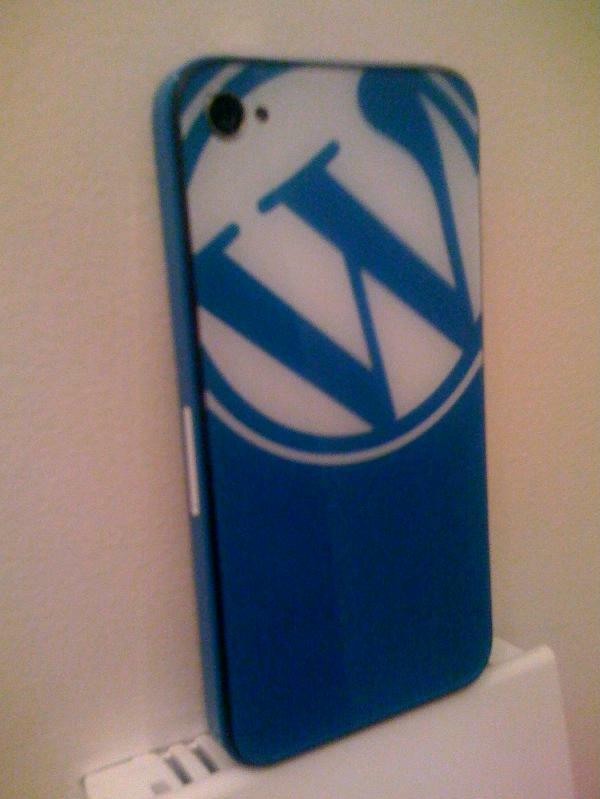 Thank you Santa Matt for the awesome custom WordPress version! Wow, das ist ja 1000 mal besser als eine blosse WordPress-Schutzfolie. Gibt es irgendeine Chance, auch so eines zu erhalten? There is no irony lost on the image being blurry! Where did you get this WP phone? I'd really like to have one, too. It's not actually a skin, it's the actual glass/covering of the phone. Woah, I didn't even realize there were companies doing that. That's awesome.